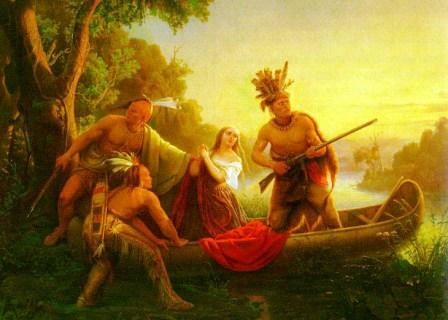 Until the arrival of the first white settlers Shawnee tribes from north and the Cherokee and Chickasaw tribes from the south of the Cumberland river fought for control of the region. During this time, no one Indian nation held possession of the region that would eventually become Kentucky. There are many famous Native American tribes who played a part in the history of the state and whose tribal territories and homelands are located in the present day state of Kentucky. The names of the Kentucky tribes included the Cherokee, Chickasaw, Mosopelea, Shawnee and Yuchi. The climate, land, history, environment and natural resources that were available to the indigenous Indian tribes in Kentucky resulted in the adoption of the Southeast culture. The history of the European invasion brought epidemic diseases such as tuberculosis, cholera, influenza, measles and smallpox. The Native Indians of Kentucky had not developed immunities against these diseases resulting in huge losses in population. Exploitation including the leverage of taxes, enforced labor and enslavement were part of their history, taking their toll on the Kentucky Indians.